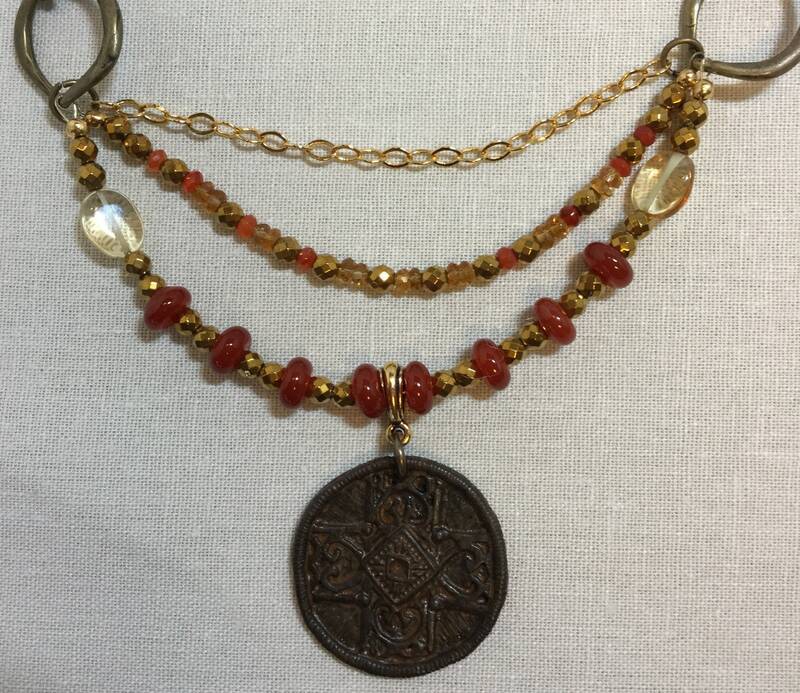 This cross necklace combines faith with funky! 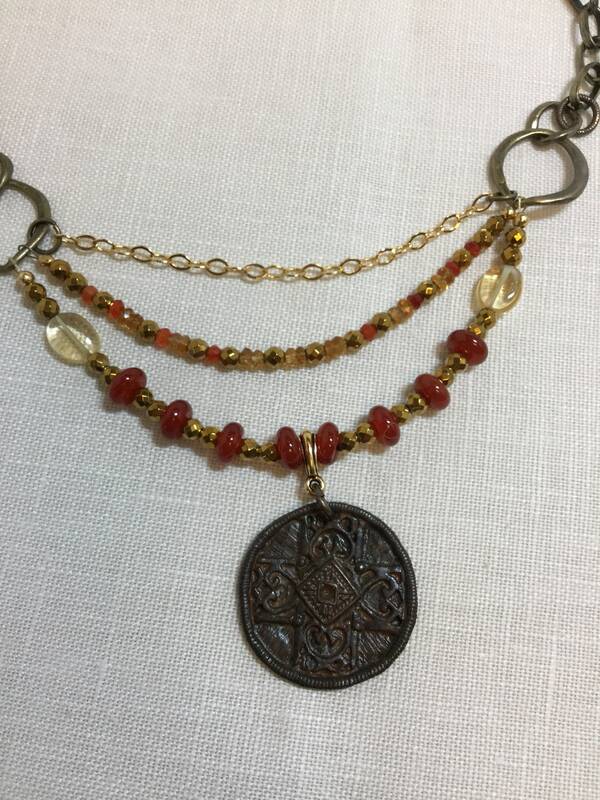 An earthy cross pendant is complemented by red agate saucers, tiny citrine rondelles, and faceted carnelian and hematite accents. 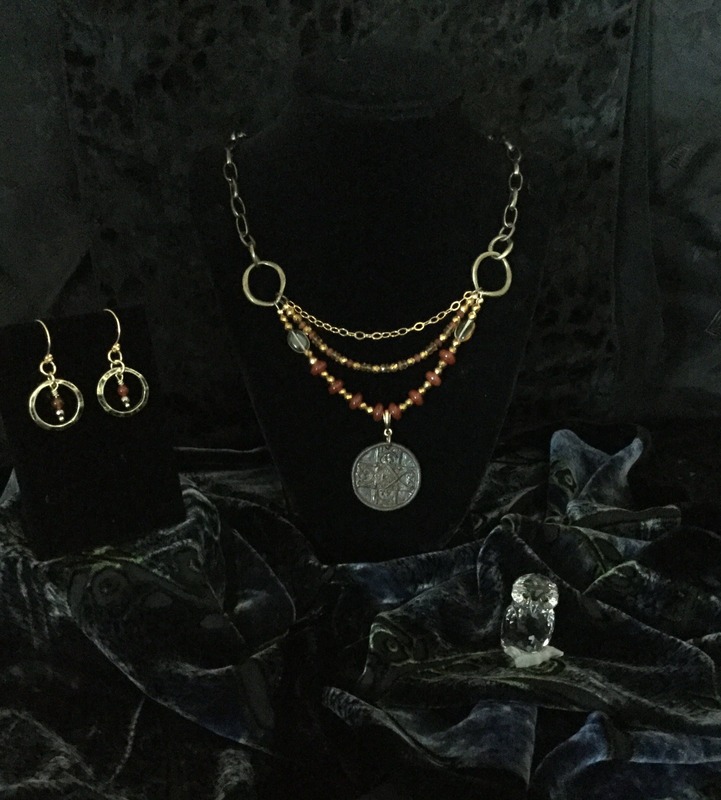 The third strand adds a delicate 14k gold chain. 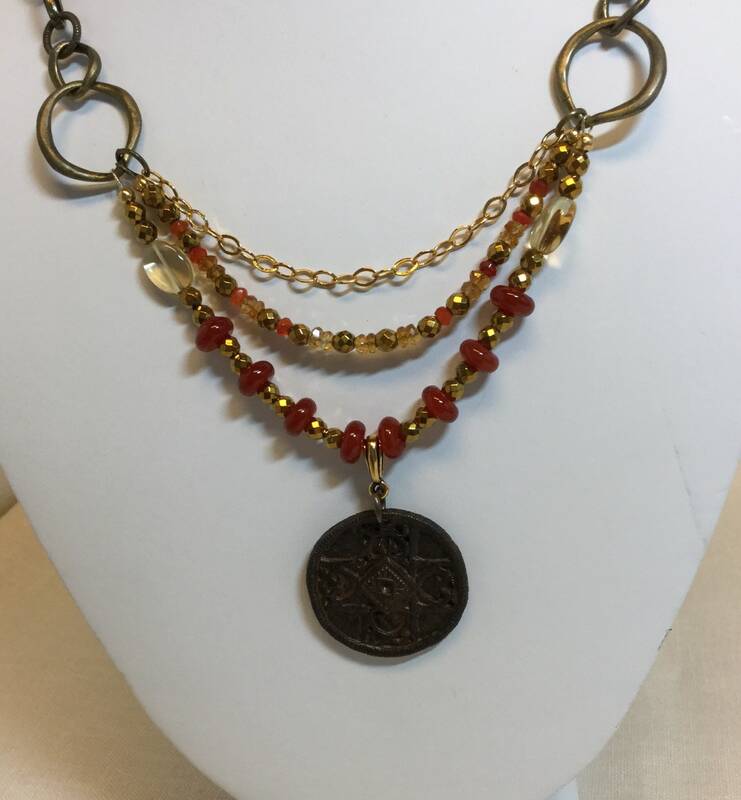 The necklace measures 20” and can be shortened with the lobster clasp and chain element. 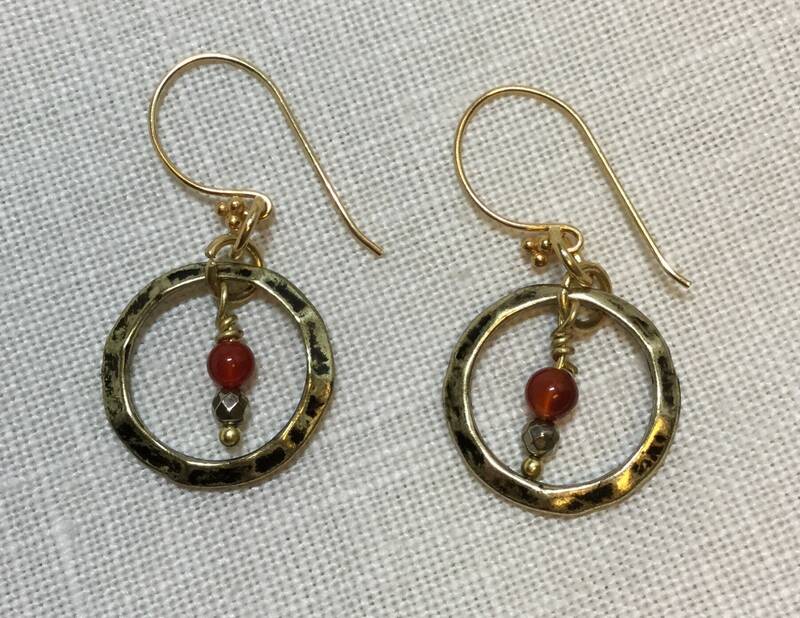 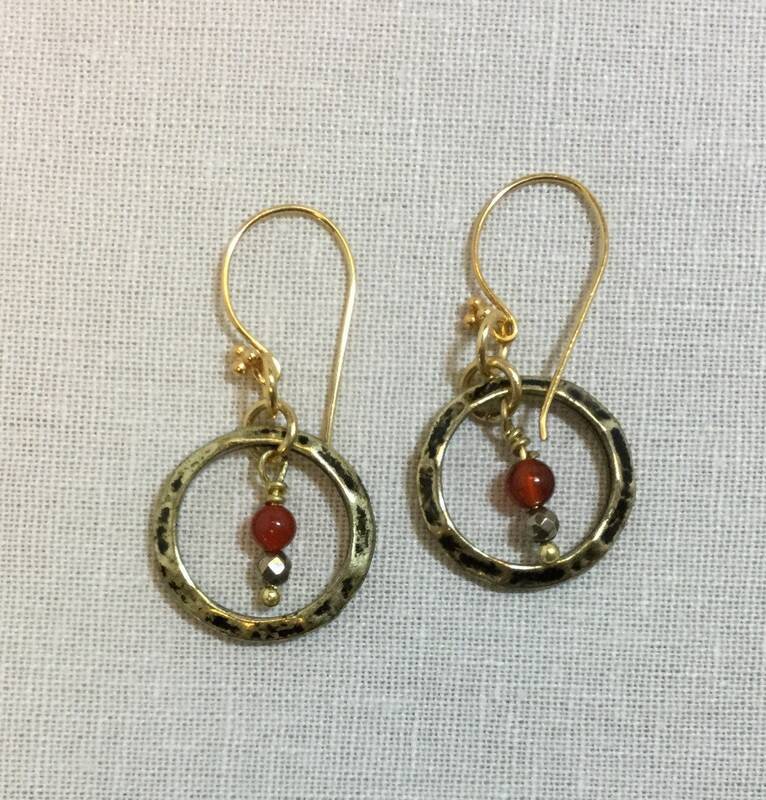 The earrings are gold-toned hoops filled with hematite and carnelian. 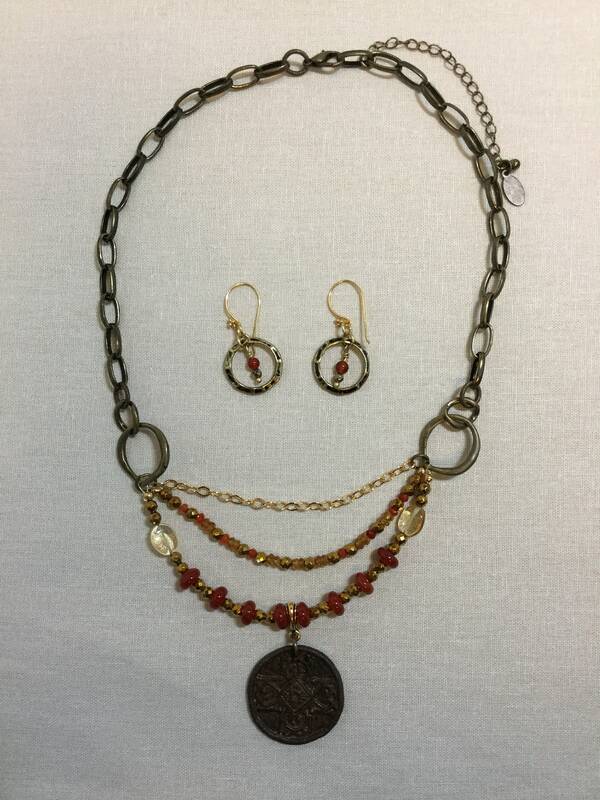 The necklace can be purchased separately or with the earrings as a set. 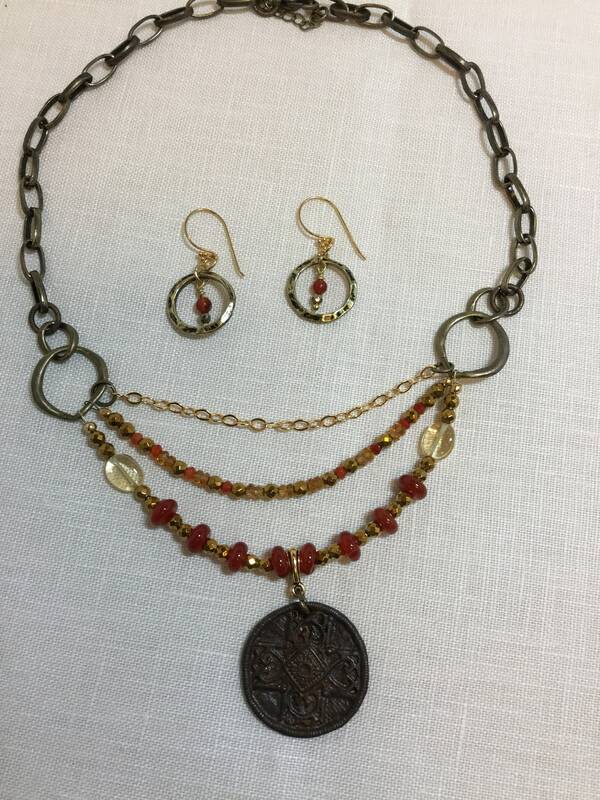 This would be a great gift for that quirky woman in your life.